Have you ever made a scrap quilt and not been happy with the finished look of it? I have! I never seem to have the right balance or something….. Anyway, I’m going to make a scrap quilt, but I’m going to go about it differently than I have I the past. I never thought about the prints or colors or whether the fabric had a big print or was a tone or tone. I just used scraps and made it. 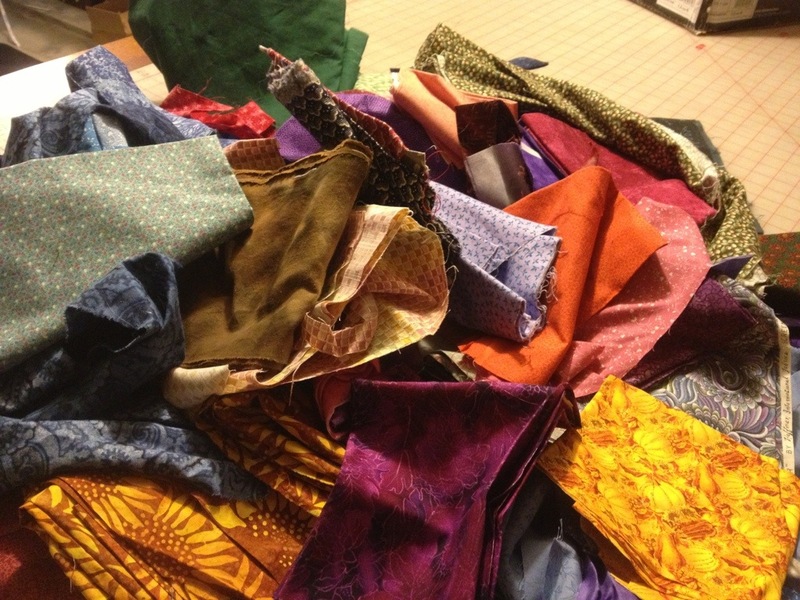 Well……that might have been my problem….as my friend Vicky makes lots of scrap quilts and hers always look great!!!! Hmmm…..I think her secret is that she controls which scraps go into her quilts. Maybe that’s my problem!! I throw everything in there!! Not this time though. I gathered up some scraps that have smaller prints and seem to look good together. So this is my starting point. I’m going to make flying geese blocks with them. I hope! LOL! The other thing is that at guild there’s a challenge to make a quilt using your treadle machine. 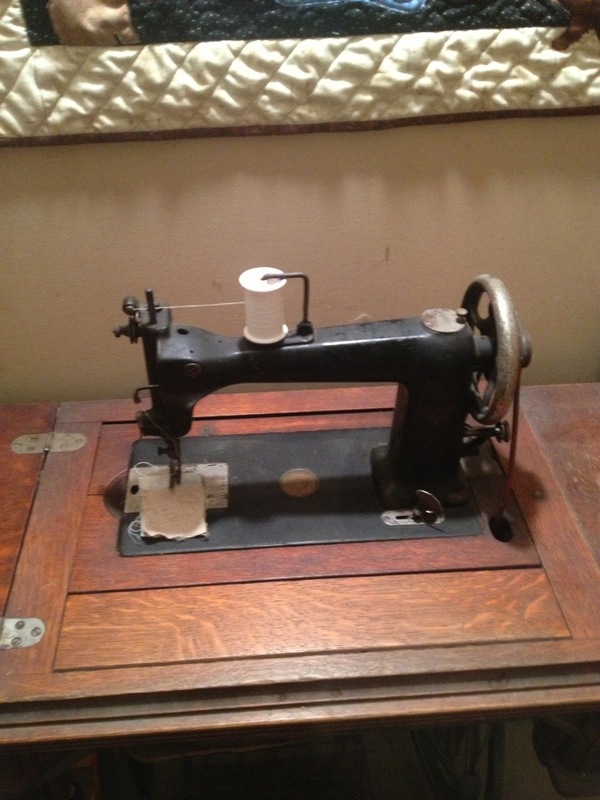 Yep, I’m going to get the old treadle up and running. It worked great back in 2002, but I haven’t touched it since! I think I have a job ahead of me! LOL! It’s an old 1800’s Wheeler and Wilson. If someone finds a mind, please return it, I think I lost Mine!!! LOL!! That looks like a great pile of scraps to start from! Looking forward to seeing your quilt! Thanks Vicky! You’re my inspiration!!! Your scrap quilts always look fantastic! !